Stephen is your local Caboolture Building Inspector. 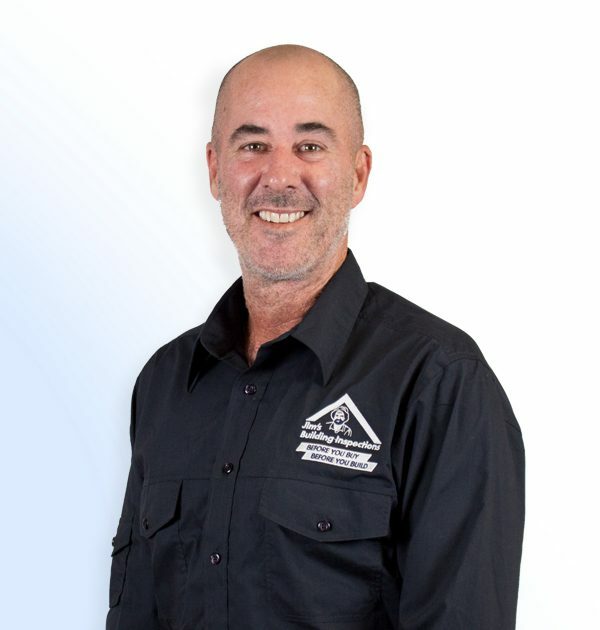 Stephen is your Jim’s Building Inspector for Caboolture and surrounding areas. He was born and bred in Brisbane, Queensland and after twenty five years living in the outer suburbs he travelled the world for four years and spent the next twelve years enjoying life on Bribie Island. Today he resides on the Sunshine Coast. After obtaining his qualifications as a Carpenter, Joiner and Cabinet maker in 1996 and his builders licence in 2005, Stephen gained experience on the tools nationally and internationally. He founded his own building company to construct spec homes, spec townhouses and was contracted to build for large Aged Care Retirement Villages. He was Diligent and detail-oriented with an earned reputation for integrity, dependability, efficiency, and professionalism with a traditional work ethic. He prides himself on good old fashioned customer service. He constantly challenges himself to exceed his clients expectations with his skills, knowledge and guidance as an excellent building inspector. Stephen was fortunate to have two young, adorable sons. They enjoy nothing more than spending as much time together as possible and really enjoy each other’s company. They share a great mate ship and have a very strong father-son bond. While being a property investor himself, Stephen always recommends that you should never buy a house without getting a building inspection by a licensed inspector. Having your carpenter friend stick his head under the floor and in the roof space is not sufficient, the house needs the once over by somebody who does this job all the time and can properly advise you on its condition. Houses need ongoing maintenance and a report can give you a checklist of the things to tackle should you go ahead and purchase. What you want from a building inspection is an understanding of whether this house is better than, on par or worse than other similar properties in the area. The important thing to understand is whether there is anything structural to be concerned about, whether past damage has been rectified and how well it has been maintained over time. Then you can decide whether the house is for you or not. His passion for the construction industry is equaled only by his enthusiasm for surfing, having spent many years surfing the local points of Noosa Heads, he enjoys getting out with the locals and teaching his young boys the joy of surfing. Stephen has been involved with volunteering his services for the local Rotary Club and he supports individual causes for families in need.